Hello! Last week many of you stated that you like to see repeat outfits worn different ways, so I decided for this week's mid-week fashion post I would show you another repeat. The skirt I'm wearing below I purchased last year from J.C.Penney and you can see it how I styled it HERE. In that post, I wore a metallic silver sweater with the same skirt. For today's look, I stuck with the neutrals and wore a black sweater, changed out the necklace and tights, and kept the same boots. The sweater is a dolmen sleeve sweater that I picked up from Express over a year ago. A lot of women don't like dolmen sleeves, but I find they are very flattering for my figure and I own several dolmen sleeve tops. This sweater also drapes around the midsection nicely creating more of a waistline for a straight figure such as mine. 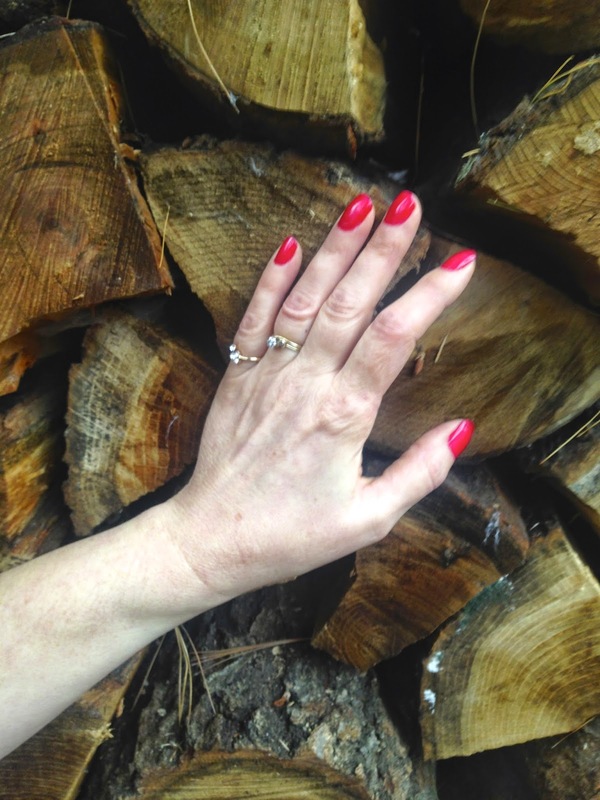 My husband thought it was so funny that I wanted my pictures taken by his woodpile. I usually complain about his huge stack of wood because it blocks the beautiful view of my neighbors yard which has a historic round barn on it. People come from all over just to photograph this barn, and I could look at it everyday if it wasn't for this giant woodpile in the way! LOL! But, I thought it made such an interesting backdrop, doesn't it? I changed my long necklace out to a solid silver one because the necklace in the first outfit had some black in it which wouldn't show up against the black sweater. 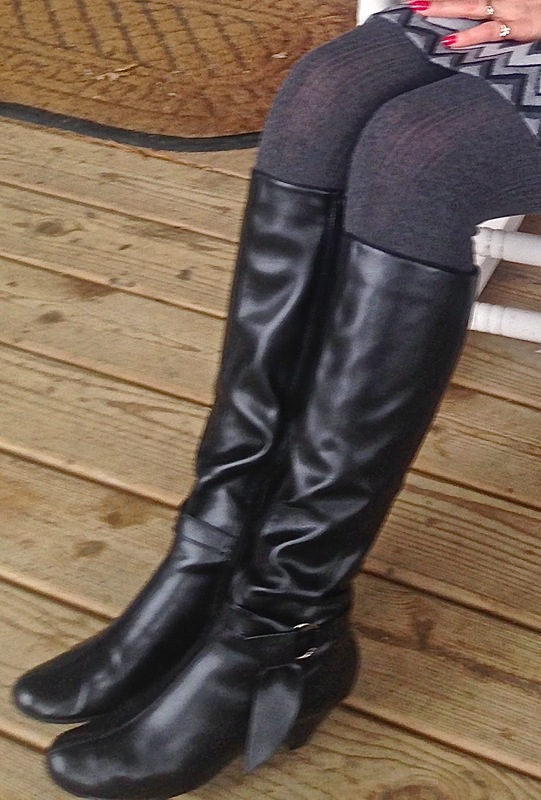 In the original photograph I have opaque black tights on, but I switched to a light grey cable knit tight because I thought it would be too much black with the top and boots. My boots are from last season, and were purchased at Famous Footwear. They have a little bit of a heel to them so they are still comfortable to walk in, and they have a cute little bow on the sides. 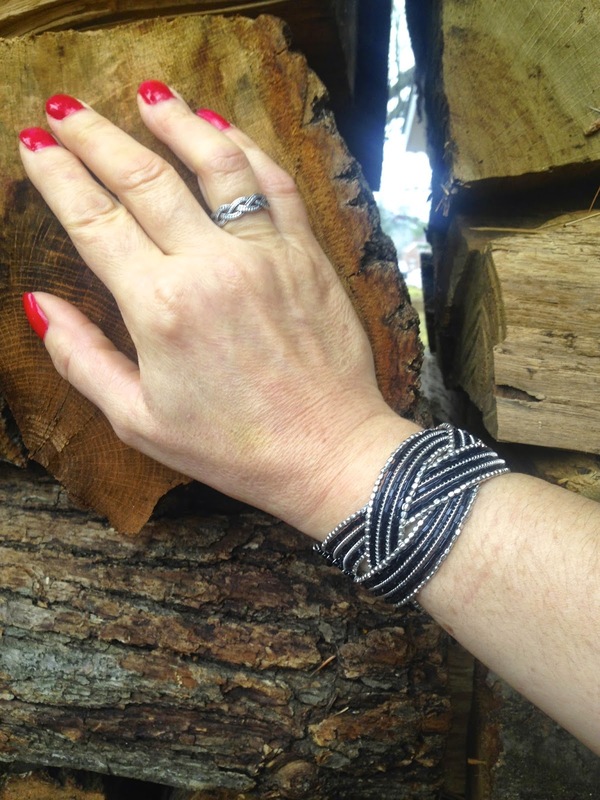 My other jewelry included my Christmas gift from my husband: my treasured Pandora ring, silver hoop earrings, and a black and silver bracelet. And on my other hand I wore my wedding ring, and a little pinkie ring I picked up at Old Navy for less than $5.00. Every time I'm in a clothing store, I always check out their jewelry; especially their clearance jewelry. You never know what treasure you will find, and it's a great way of building your jewelry collection. There's three things I feel no woman can ever have too much of : scarves, shoes, and jewelry! No matter how much I have of these three items, I'm always searching through my stash to find the perfect 'one' to complete my outfit. Looking back on these pictures, I think I prefer the outfit with the grey sweater, but it is still nice to wear the skirt a little differently to create a new outfit. That's the nice thing about skirts over dresses; they are far more versatile. So what about you? Which outfit do you like better? And what do you think about dolmen sleeves? 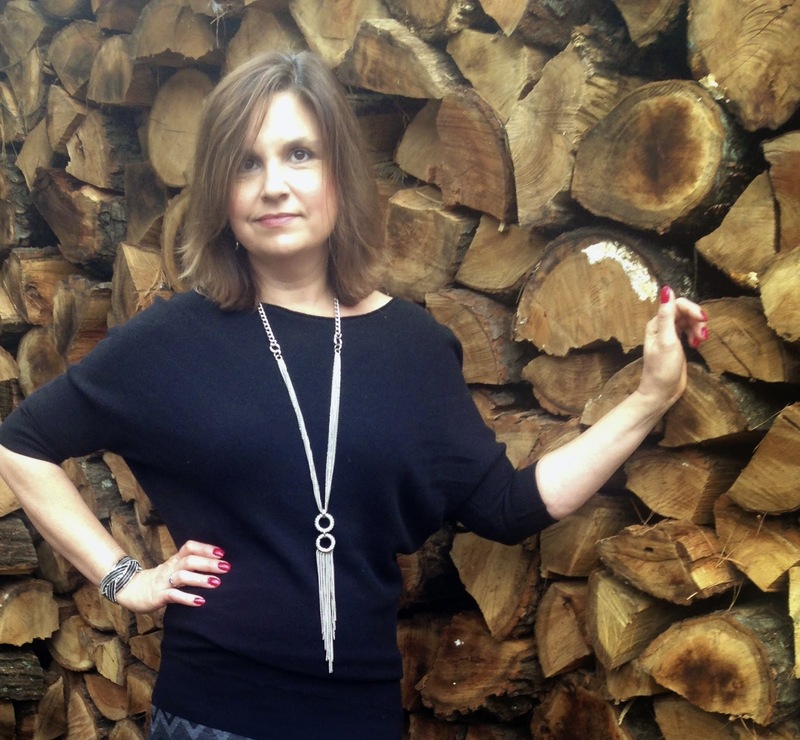 Would you wear a top with dolmen sleeves? I'd love to hear from you! Linking up with I Feel Pretty, Confident TwosDay, and Trendy Wednesday. Love this great skirt, Amy! Such a great pattern and colors. I have nothing against dolmen sleeves, but don't think I actually own any. Might just have to remedy that. 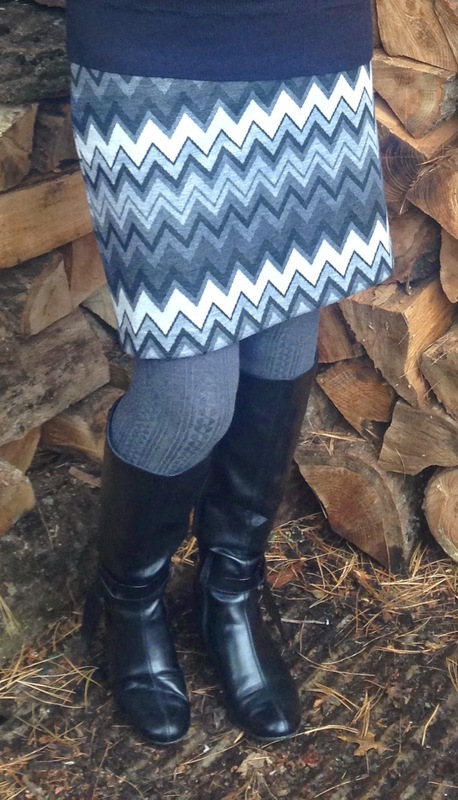 Wonderful winter look and I like your woodpile background. :) Now I want to see this round barn sometime! I love that skirt! I love prints and that zig zag is cute. That top is totally flattering on you, Amy! It's funny, I do really like the look of dolman sleeve tops and have even tried a couple on but for some reason I haven't purchased any! I have no idea why. 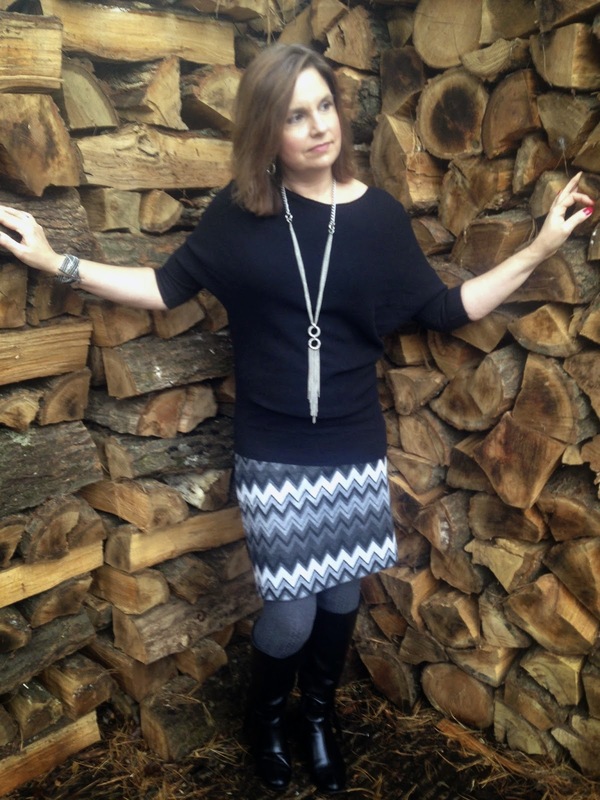 But your outfit came together perfectly and the woodstack makes for a nice backdrop! LOL. Another superb look ! This skirt is beautiful ! 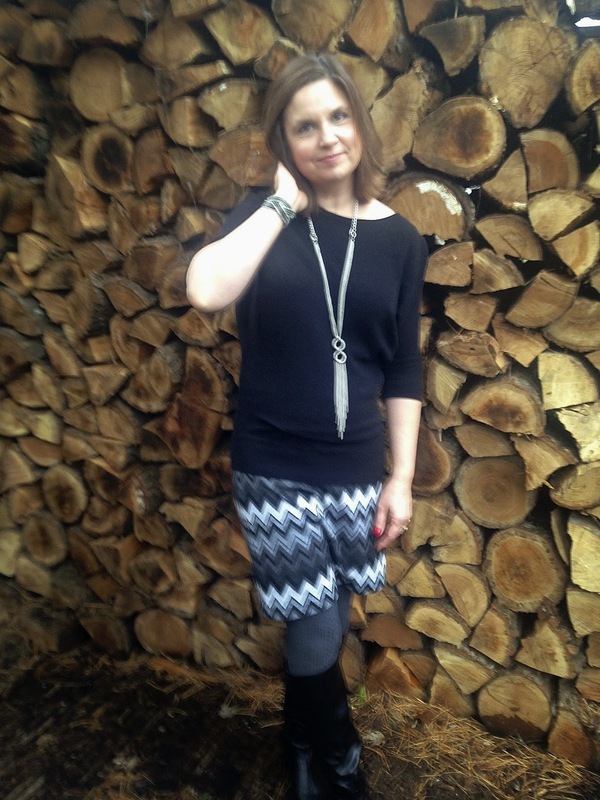 What a great zig zag skirt and that necklace is beautiful! Thank you for linking up with SHOE AND TELL on Style Nudge! !